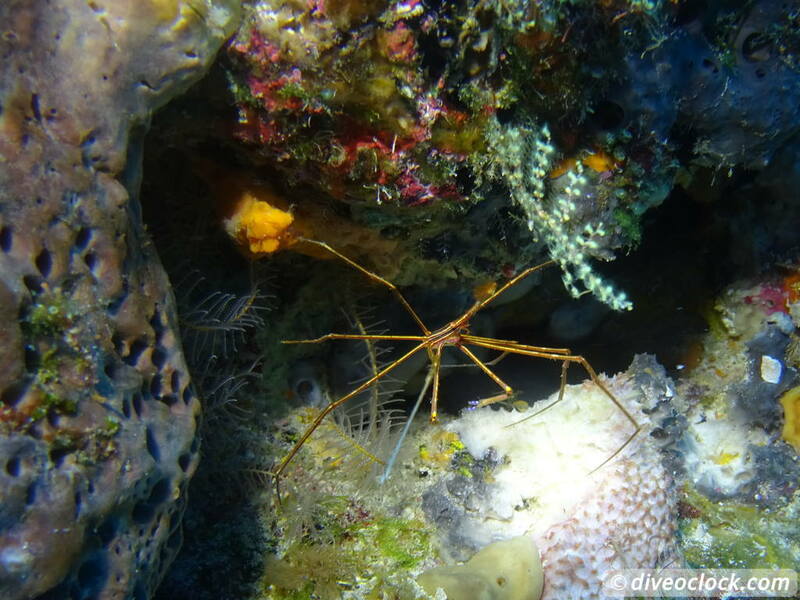 Cozumel - Great Dive Sites for Experienced Divers (Mexico) - Dive o'clock! 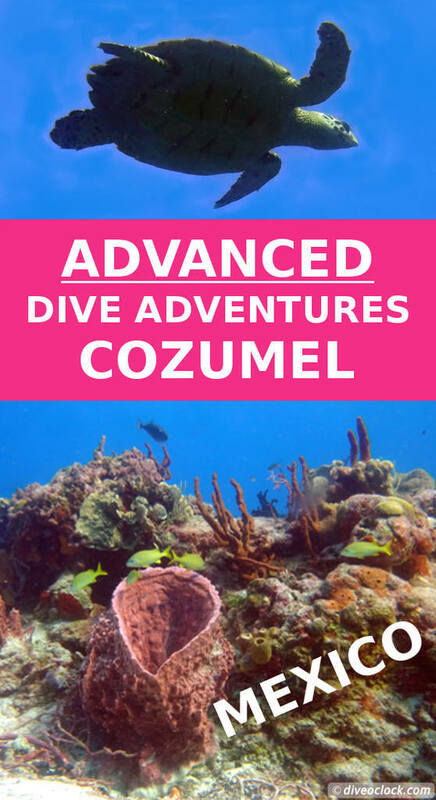 Cozumel is a popular dive area for beginners as well as advanced divers to spend a holiday or just a few days of diving before moving to another area in the Yucatan region. 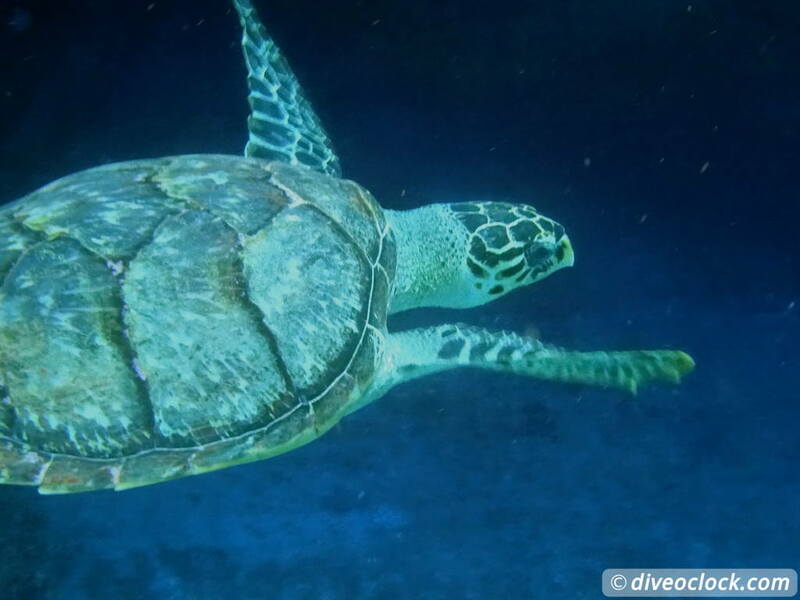 Gliding through rock formations, wall diving and drifting along the reef while looking in the blue to spot some turtles and maybe even a shark. 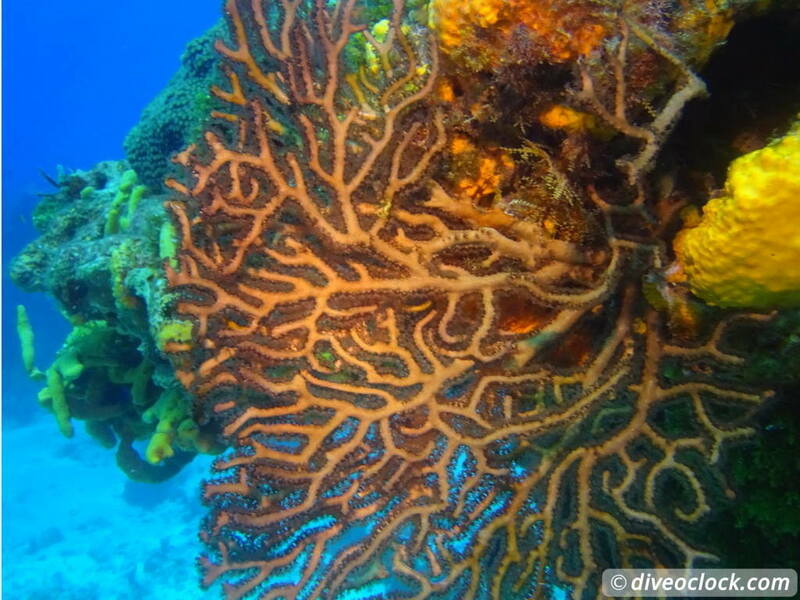 Diving around the island is amazing, it is a healthy part of the Mesoamerican Barrier reef system, one of the largest in the world. 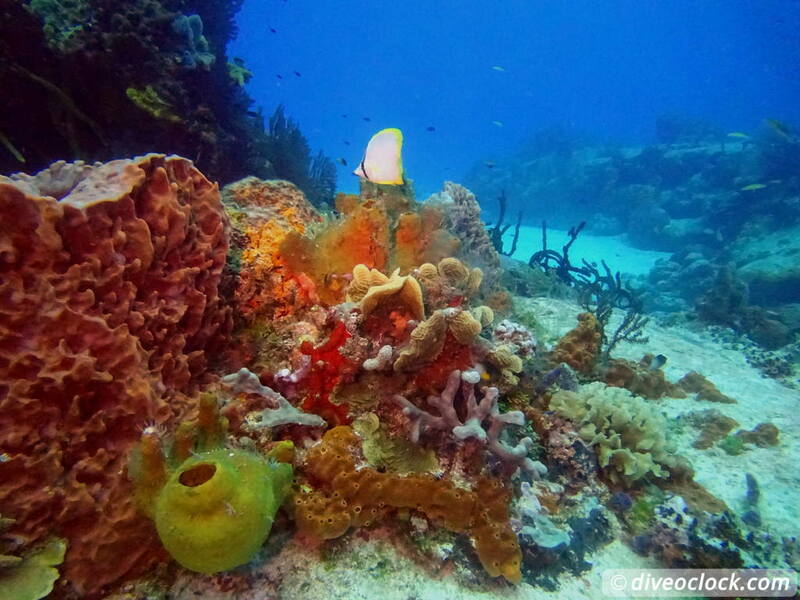 Cozumel is often mentioned as having the 'best' coral reef of the area. 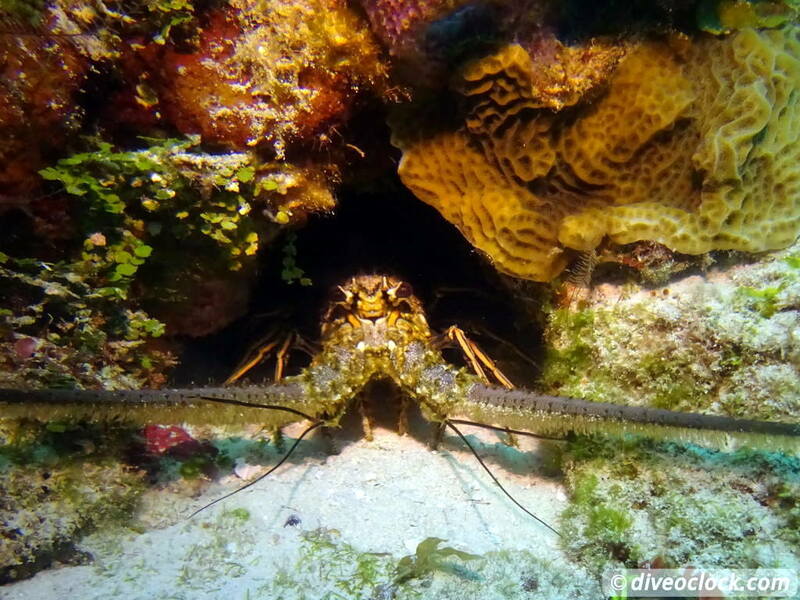 From the Yucatan mainland, Playa del Carmen, you can book a day trip of diving around Cozumel - but do they go to the same sites? Fuel and time limits the area where you can go by dive boat from Playa del Carmen... 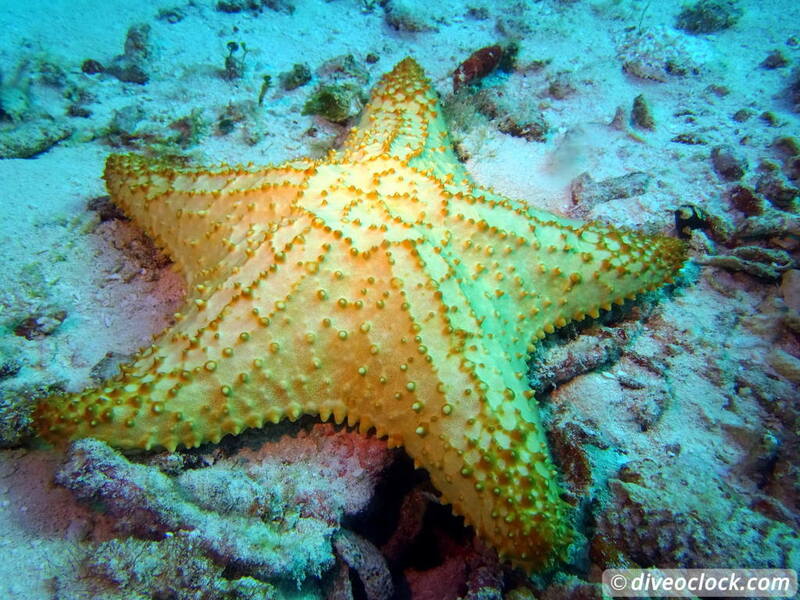 I have been diving around Cozumel from Playa del Carmen a few years ago. This time I wanted to stay on the island (which is great!) 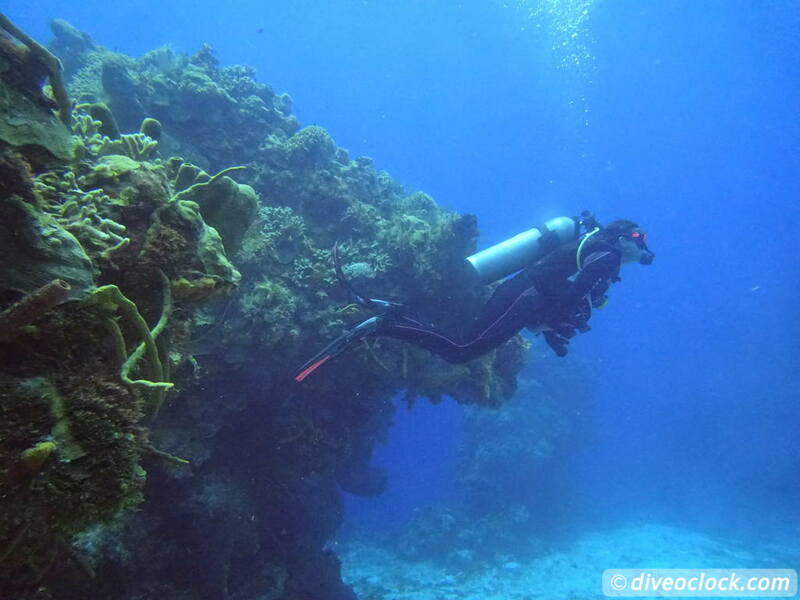 and discover the dive sites of the South. 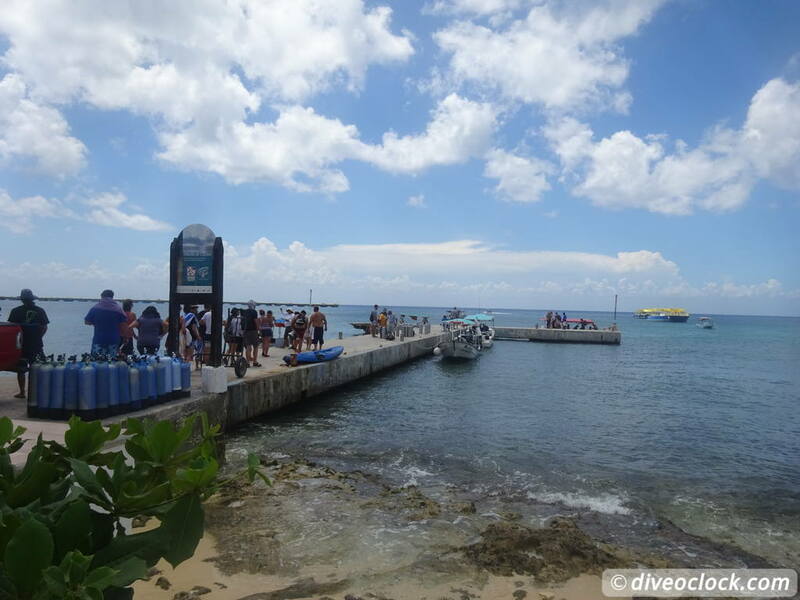 From Playa del Carmen you can take the passenger ferry or car ferry if you wish, Ultramar is fast and comfortable. 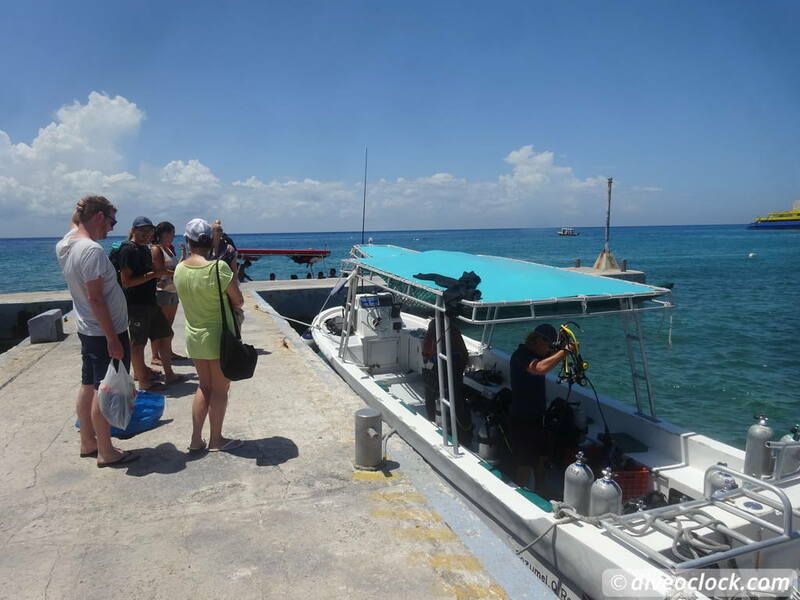 Depending of the month of visit it can be interesting to combine with to Isla Mujeres for Snorkeling with Whale Sharks and SCUBA diving Isla Mujeres. From Playa del Carmen to Cancun you can take a comfortable ADO bus (touring car) + short taxi ride or the Ultramar land transportation (ferry to ferry but more expensive). 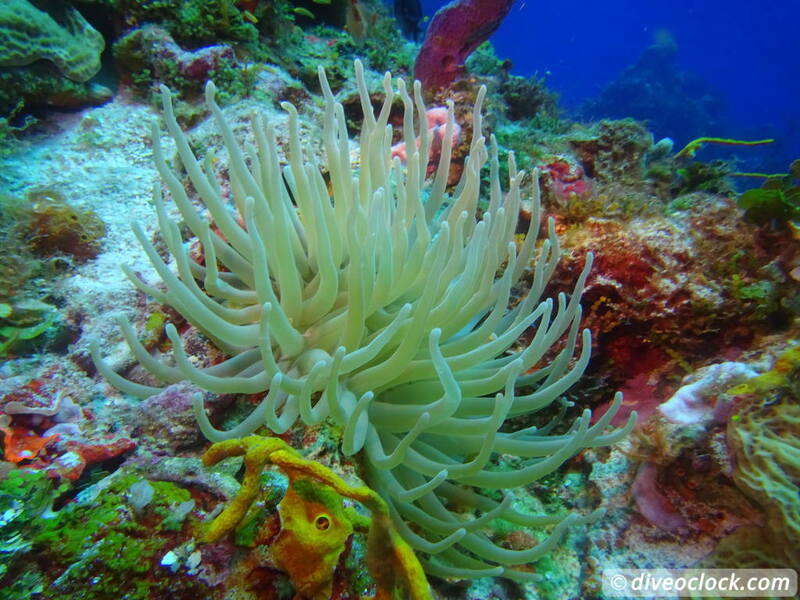 Cozumel diving is mainly easy drift diving and only in the far South it can get 'extreme'. The Southern tip of the island offers the most dramatic seascapes and often strong currents, giving a higher chance of spotting bigger animals and more interesting dives in general. 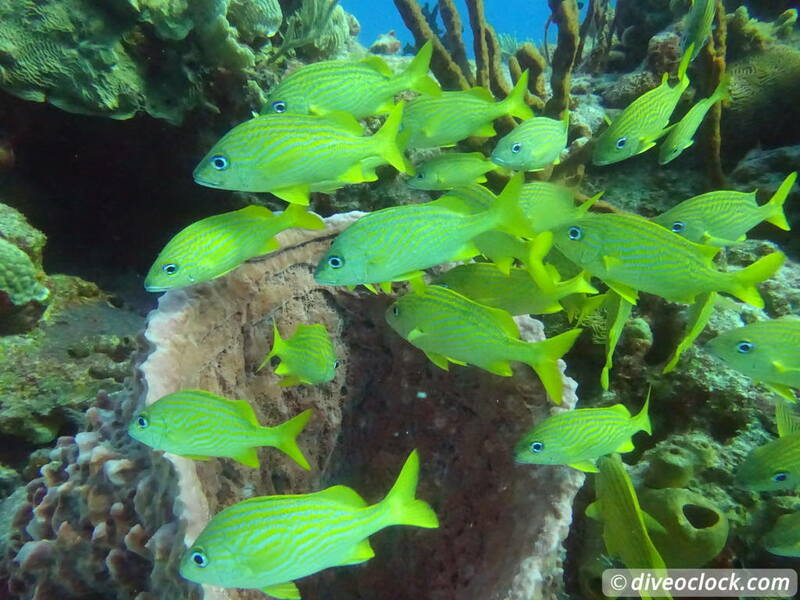 Punta Sur, Maracaibo, Chunchakaab, San Juan and Barracuda Reef are the areas to dive for advanced divers (which does not equal a PADI Advanced certification!). Small swim-thoughts, strong currents that can change direction and deep dive sites (+30m/100ft) for example. Because of the possibility of strong currents the boats normally only go in the morning to these dive sites. This way, worst case, if you loose control and drift off there is more time to search for you before the night falls...Makes sense right? So, 'the best' is only possible on morning dives. 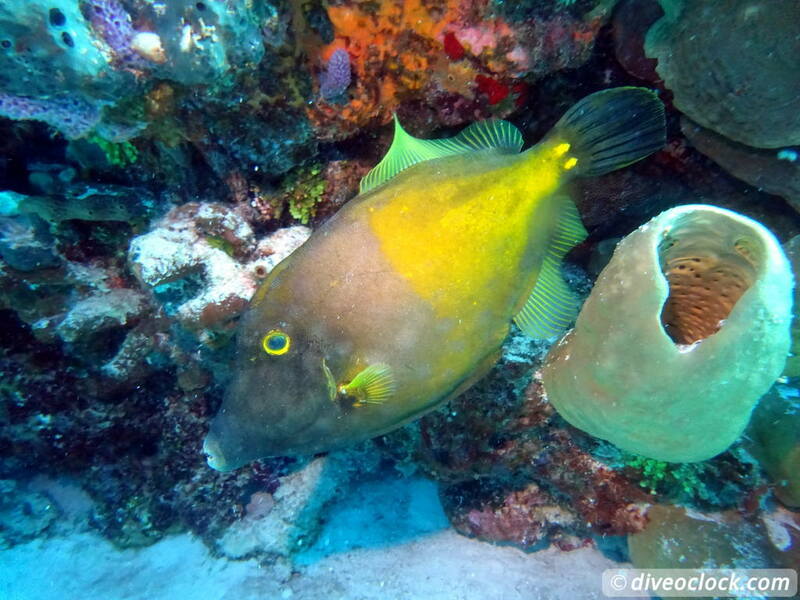 I would recommend anybody to bring a whistle and SMB if you are diving Cozumel, they can be real life savers! Three inflation systems: Through the regulator, with the mouth or by connecting a hose. It has an overpressure valve. 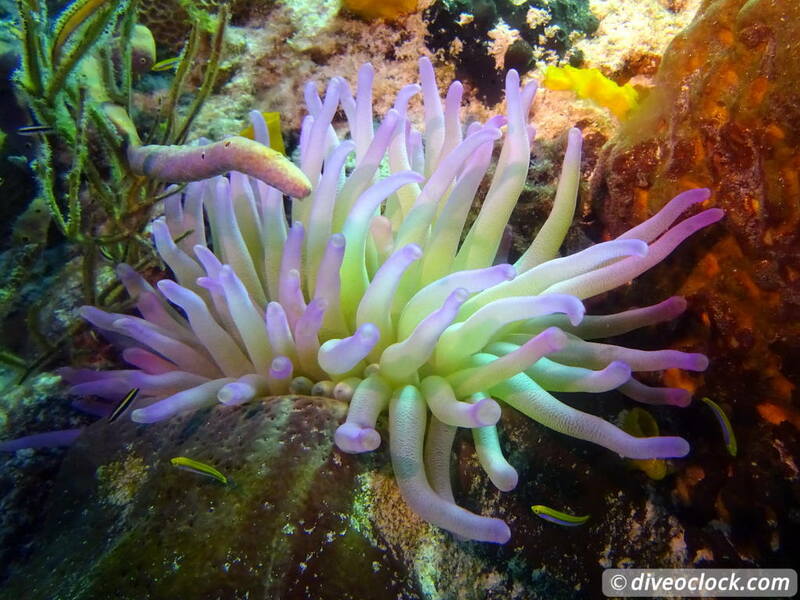 Famous for Many dive sites around, something for everybody! 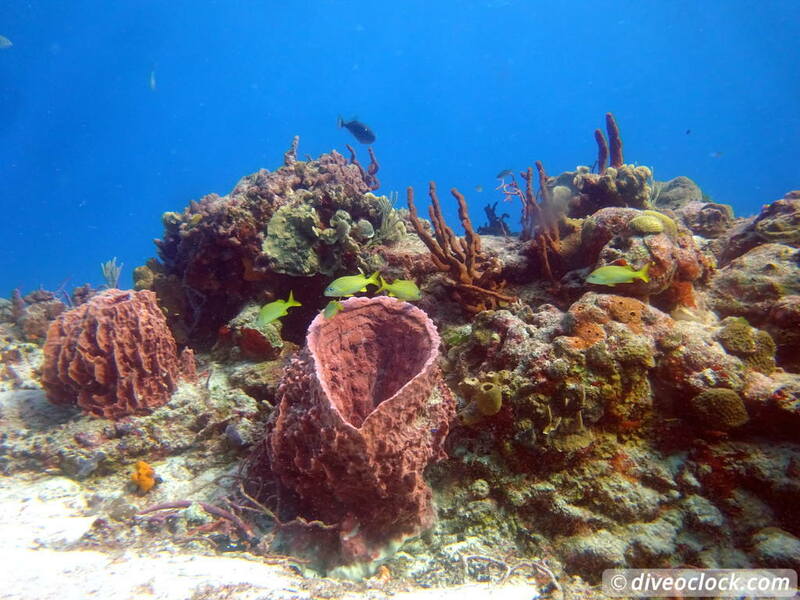 Healthy reef, high marine diversity (for the Caribbean) and interesting seascapes. Price 80 US dollar for a 2-tank dive including fresh water and fruit. 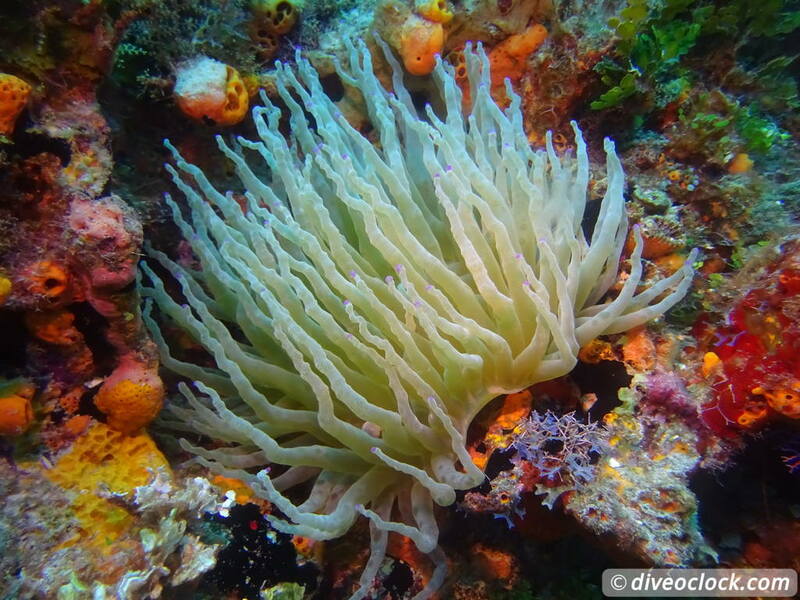 +2 USD per day Marine Park Fee and equipment 12 USD per day. Discounts apply on multiple days of diving. 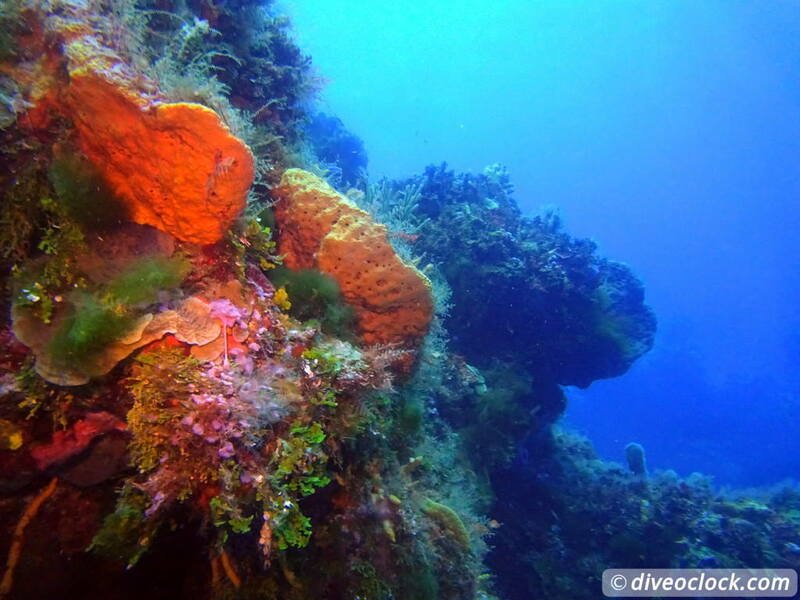 Palancar is a stunning dive area in the South, not deep South, your best option for afternoon diving according to many dive centers around. The seascape is beautiful, between the sandy bottom and the top of the rocks and pinnacles can be a 10 meters difference easily. Many overhangs, swim throughs and small caves to explore, creating an interesting dive pattern. 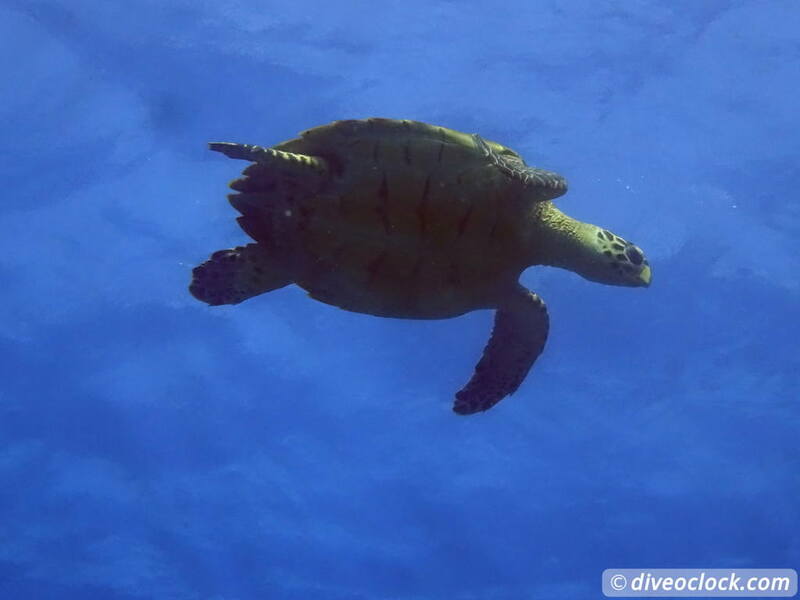 Many turtles were around, seeming not interested in SCUBA divers at all, just minding their own business. 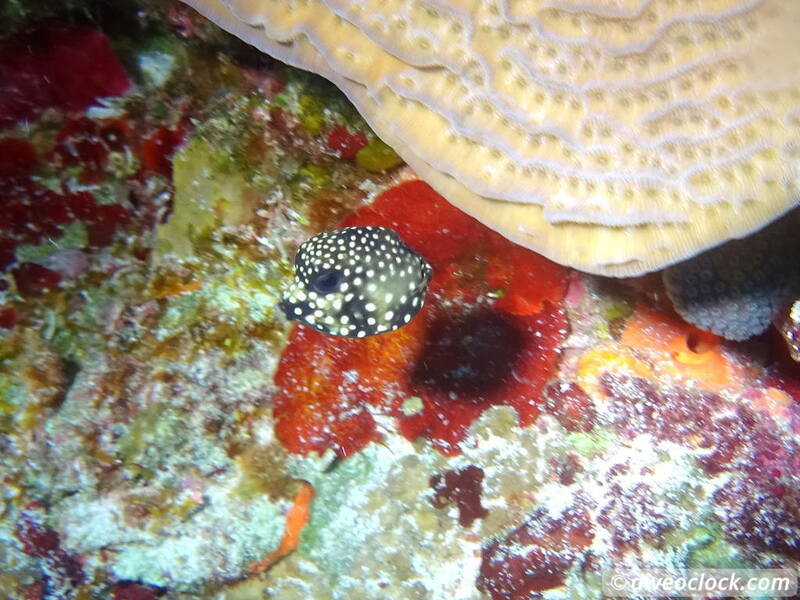 Some small critters and fish were around, like the beautiful juvenile spotted drum and many colorful Angelfish. 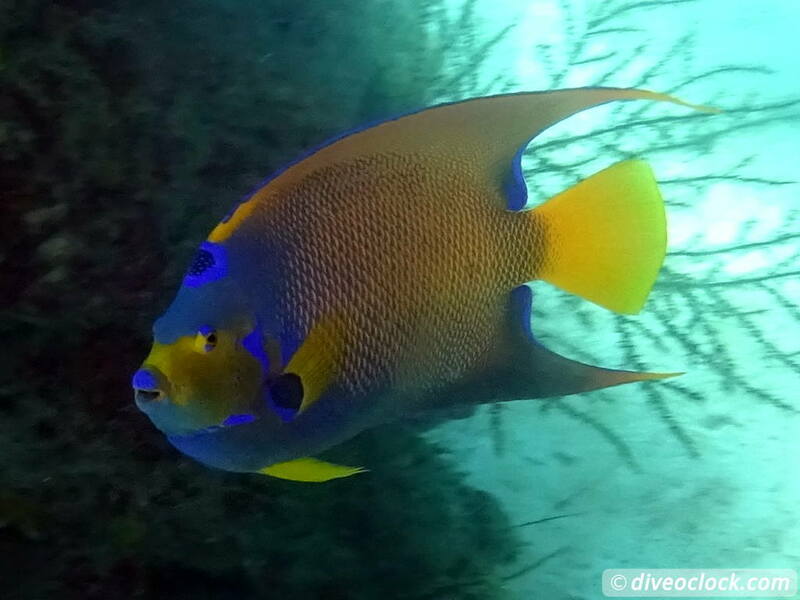 San Clemente is a dive site that is shallow with lots of grunts and snappers swimming around. 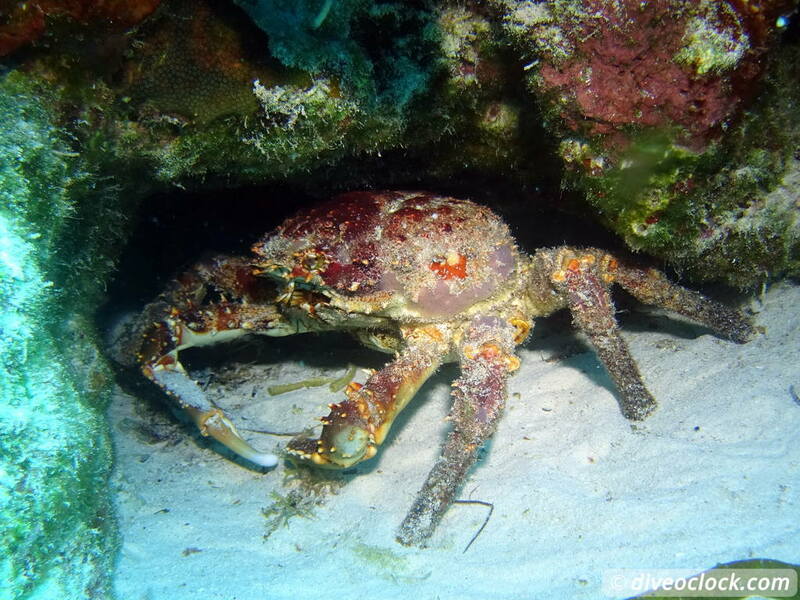 Again a dive site with some special creatures, have a look at this stunning crab! The juvenile smooth trunk-fish (picture in the middle) looked like a tiny flying dice/box. There was even a nurse shark swimming in the distance! This site is great for underwater photography. 10% of the profit is for Marine Megafauna Foundation! Palancar Reef is obviously less dramatically shaped as Palancar caves but it still has a good variety in bottom structure. Again many turtles were swimming along the reef and many crabs and shrimps were to be found hiding in the reef. 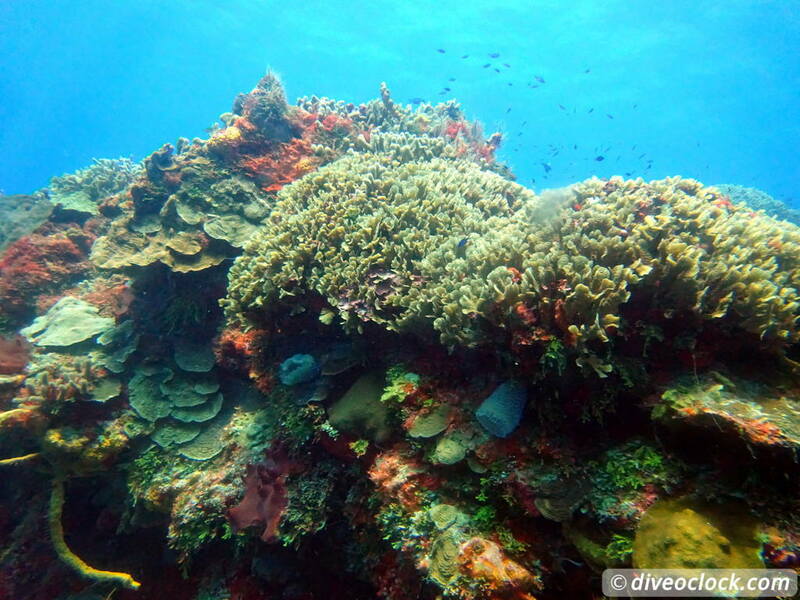 The reef is quite colorful and vibrant, a good place to dive for all levels of experience. There was just a small current around, nice little drift. 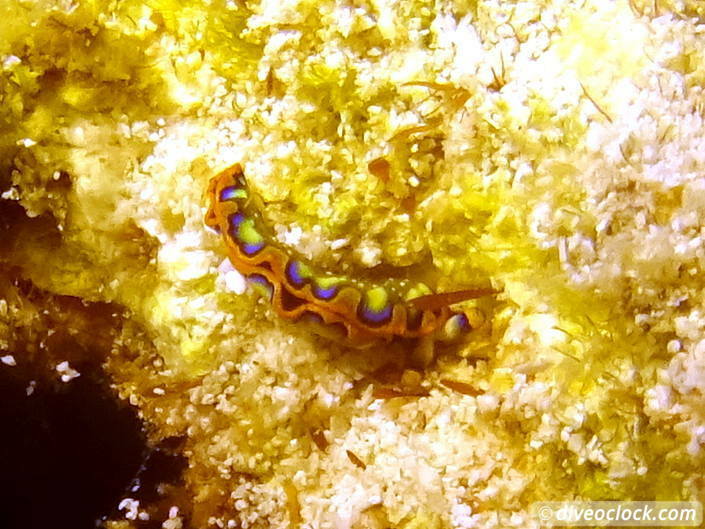 Tormentos made me really happy, as our guide found this stunning nudibranch (second photo). 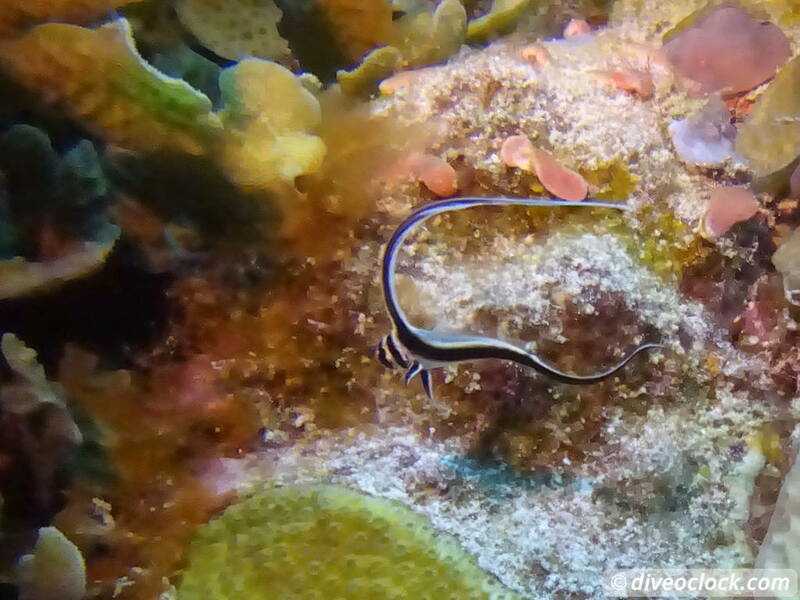 It was about a fingernail long, but it was something different to find diving here in the Caribbean. 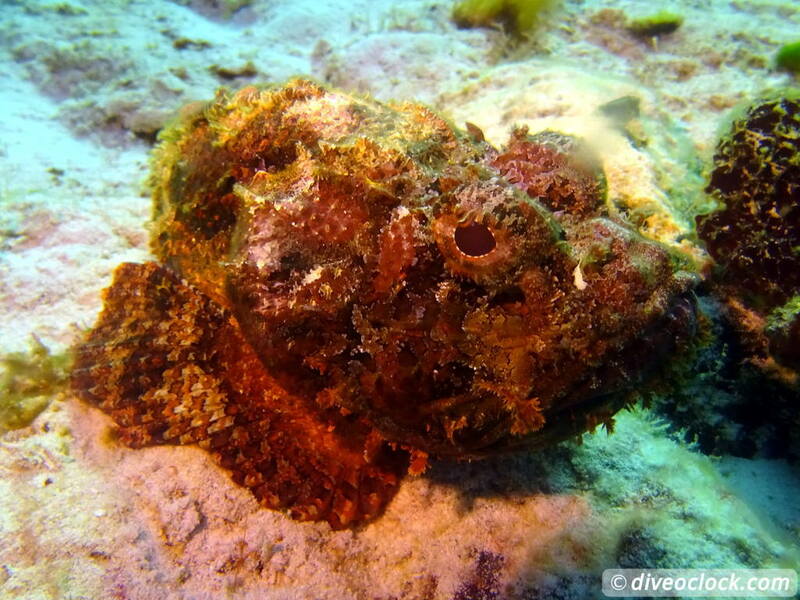 The endemic (only live around Cozumel) Splendid toadfish I have not seen on this trip. Deep Blue seems to be one of the busiest dive centers around, having several boats and offering morning and afternoon trips daily. For me this was perfect to hop on the afternoon trips and work online in the morning. 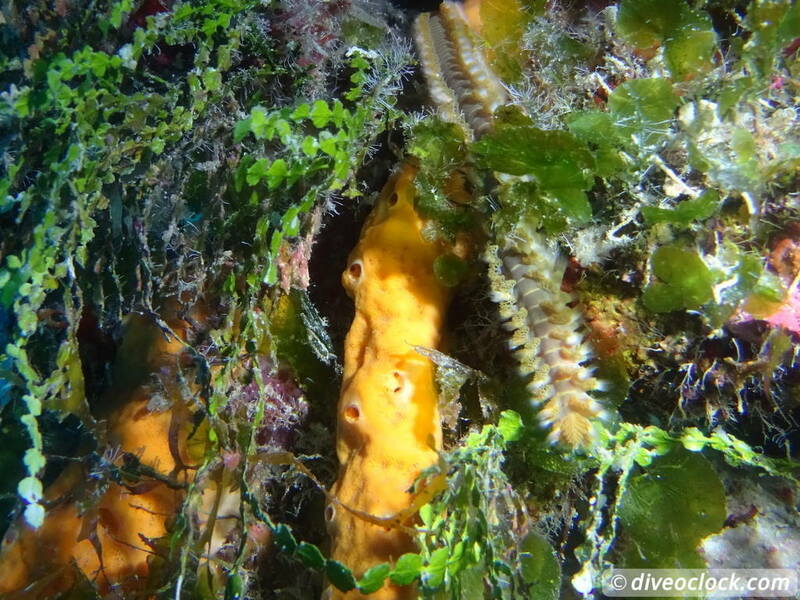 The side-effect is that I could not go to the 'best' dive sites in the deep South. Another effect is that the boat is filled with mainly single day-trip divers instead of week-long divers. 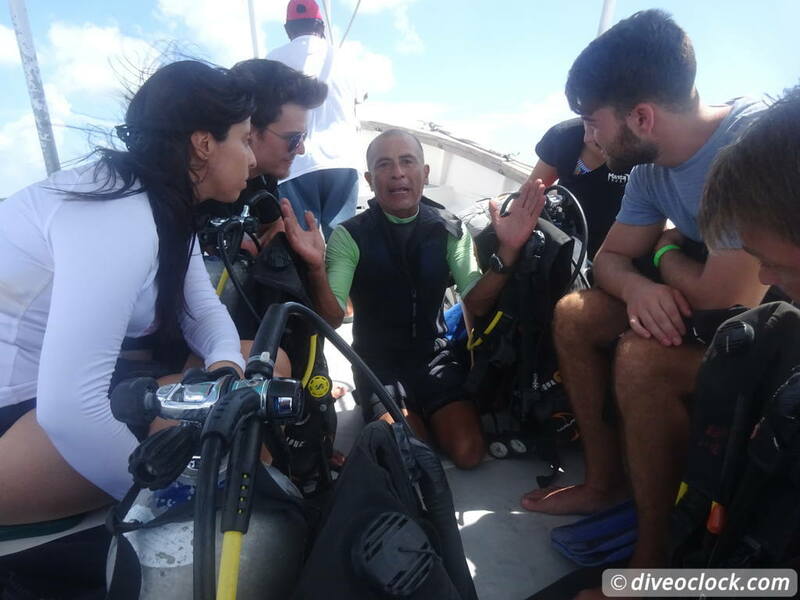 This gives a smaller variety in the more challenging dive sites because there are always new people on the boat (safety first, and that is a good thing!). Punta Sur and Palancar Horseshoe reef I will keep for my next trip. At the shop Ricardo, a very nice guy, was organizing the trips and paperwork. Together with our dive guides and experienced boat crew they did a great job. 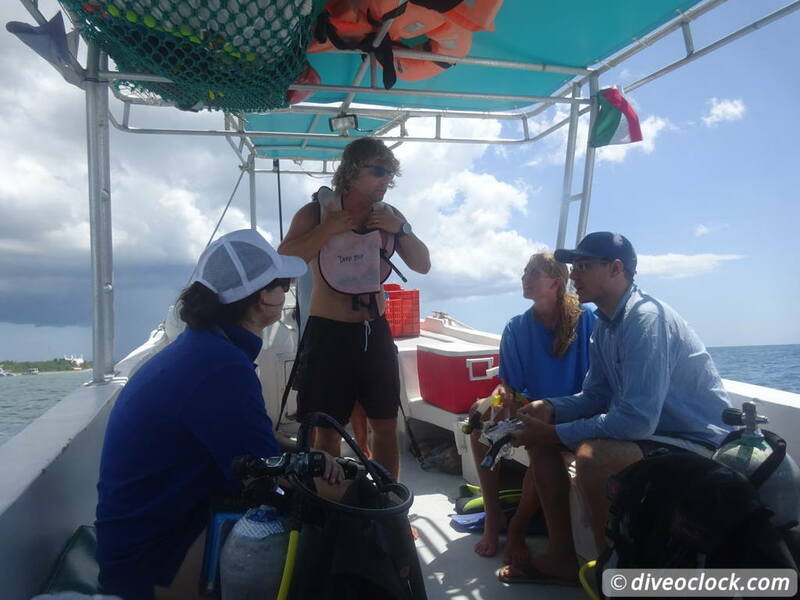 Briefings were done in a correct way and many special creatures were pointed out during the dive. Drinking water and fruit was provided during the safety interval as well as some great stories and information about the reefs around. 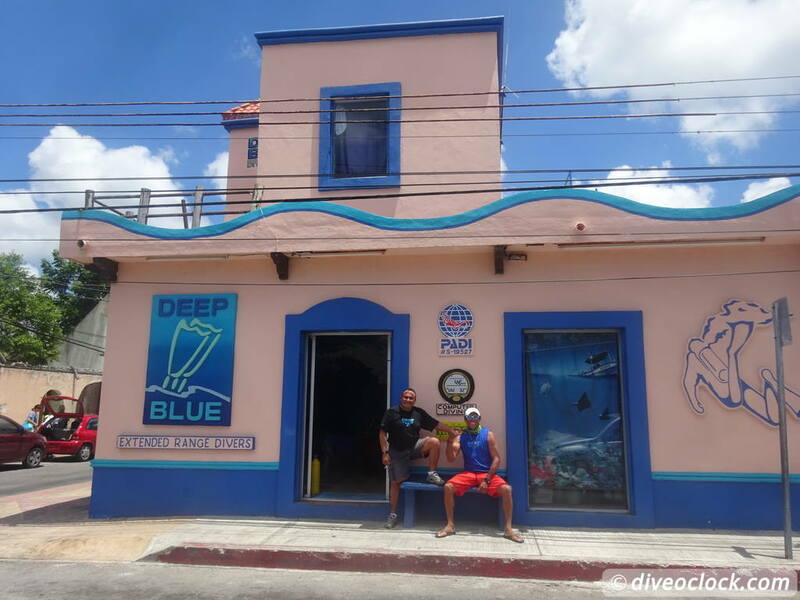 Thank you very much Deep Blue Cozumel Diving!